Trademark notice: Sugo is a trademark of Studio Kmzero. Created for a skateboard shop logo Sugo is a headline font with a blocky shape, a freestyle finish and a street attitude. 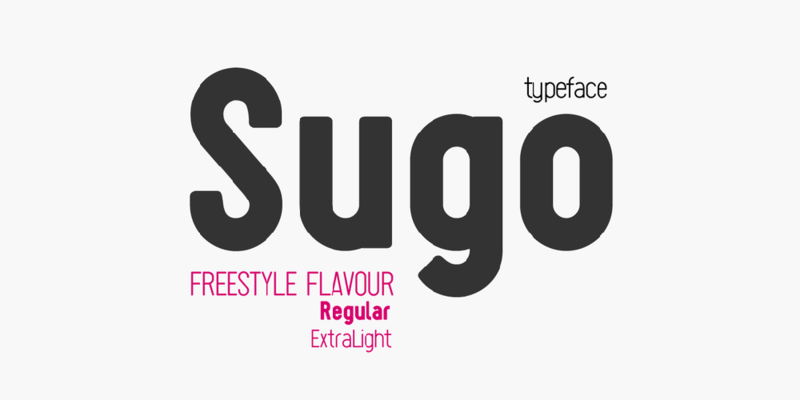 Its high readibility and contemporary feel make it the right typeface to mix personality and dynamism.